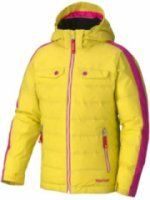 GearBuyer has the largest selection of kids down jackets from the best brands. 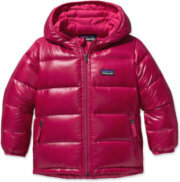 Be sure to view our selection of boys down jackets, girls down jackets, and infants and toddlers down jackets. 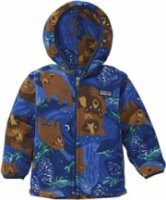 Top brands for kid's down jackets are The North Face, Burton, Patagonia, Columbia, Arc'Teryx, Marmot, Mountain Hardwear, Spyder and more. 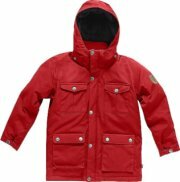 Fjallraven Greenland Down Parka - FEATURES of the Fjallraven Kids' Greenland Down Parka. 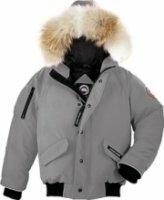 SPECIFICATIONS of the Fjallraven Kids' Greenland Down Parka. 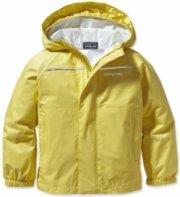 Snug fitting detachable hoodAdjustable at bottom hem and at sleeve endA kids down jacket in classic Fjallraven styleG-1000 Original filled with 500 cubic inches goose downTwo-way CF zipper covered by a placket with press buttons2 bellow hand pocketsLeather details. 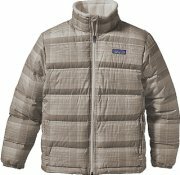 Regular fit550 European Goose DownAllied Down FeatherDetachable hoodWater-resistant, windproof and breathableYKK zippersMultiple exterior pocketsArticulated arms and elbowsSpray Tech Protection100% PolyamideBack dropEdgeband cuffs. Back side of neck opening is lined with brushed tricot for warmth and softness against baby's chin and neckStorm flap behind both zippers is lined with brushed tricot for added comfort and softnessRecessed stretch fleece cuffs convert to hand covers to keep baby's hands warmDown filled hood with a removable Coyote fur ruff for easier cleaningGoose I. D. hand-me-down label on interiorDouble centre front YKK reverse coil locking zippers with reflective stripes for easy dressing and diaper changesCentre front pocket with flap and Velcro closureReflective piping on the opening cuff edges for visibilitySeat belt pass-through for car seats. 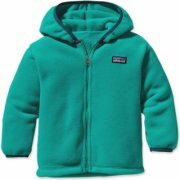 Patagonia Baby Snowy Pelage Jacket - The Patagonia Baby Snowy Pelage Jacket is a baby fleece jacket for looking stylish on the way to her first play date. 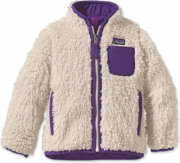 She’ll easily snuggle up and fall asleep within the warm, silky fleece. 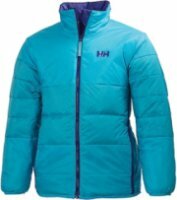 The large buttons are easy to close up and won’t catch her tiny chin in a zipper. 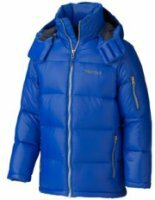 Two drop-in pockets keep a pair of mittens close by. 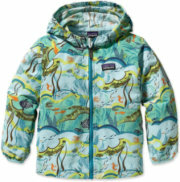 FEATURES of the Patagonia Baby Snowy Pelage Jacket. 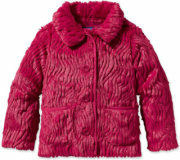 Xoxo Juniors' Tweed Cropped Jacket - XOXO dials down the classically prim style of the tweed jacket, designing this layer with a young, cropped silhouette and a grand, oversized collar. 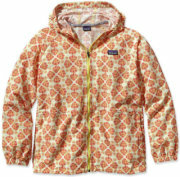 LinedShawl collarRibbed trim at back hemTweed fabricOff-seam pocketsLong sleeves with button-through tabsHidden front zipper closureImportedDry cleanHits at waistJuniors jacket. Shyanne Long Sleeve Plaid Print Western Shirt - Dress your little girl up like the perfect cowgirl she is! Try this Long Sleeve Plaid Print Western Shirt by Shyanne®. 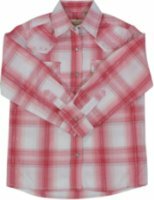 Made with a plaid print design, this shirt has its western features highlighted through the use of pink whipstitches and rhinestone embellishments. This would look darling with a pair of white and pink cowgirl boots.55% cotton 45% polyesterPlaid print with metallic linesMachine wash cold with like colorsSnap down placketLong sleevesDouble front pockets with flaps and snapsRhinestone and whipstitch embellishmentsFront and back western yokes. 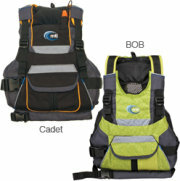 Mti Cadet Life Vest (Best Use Paddling Recreation) - Totally new performance PFDs for youth sizes with grown-up fit and features. 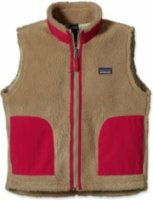 Easy over-the-head entry with side adjustment, adjustable shoulders and a low profile foam body fit kids better than the standard, scaled-down adult vests. 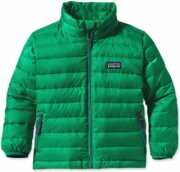 BOB features Fractal Green and lots of reflective tape along with hand-warmer fleece pockets and a cargo pocket. The all-black Cadet is super-streamlined, and lightweight for the Dinghy racer..